Clouds roll past trees clinging to the steep flank of Black Butte. After a lull in the storm system that has been passing through Northern California, the precipitation returned with some vigor today. What started off as rain this morning eventually turned to snow. While not a heavy dump, there was enough for barely a quarter of an inch to accumulate at my house. It was certainly enough to set my kids off into a wintry frenzy. This afternoon the precepitation came to a halt again. Though the clouds around Mount Shasta never cleared away, they did lift high enough to get a good view of the drama swirling around the upper reaches of Black Butte. Lately I have been really interested in watching clouds passing through the trees on Black Butte. The vapor drifting through the trees, obscuring and revealing them, is a fascinating spectacle. The conditions where this is particularly interesting have been unusually frequent the last few weeks and I have been unable to resist trying to document the show. Thursday afternoon proved to be an unusually scenic display and I was, naturally, on hand to document it. While there were a number of interesting scenes where breaks in the clouds highlighted various spots on the mountain, the northwest corner has an especially memorable presentation. The clouds wafted through and around the trees in a slow, steady parade. 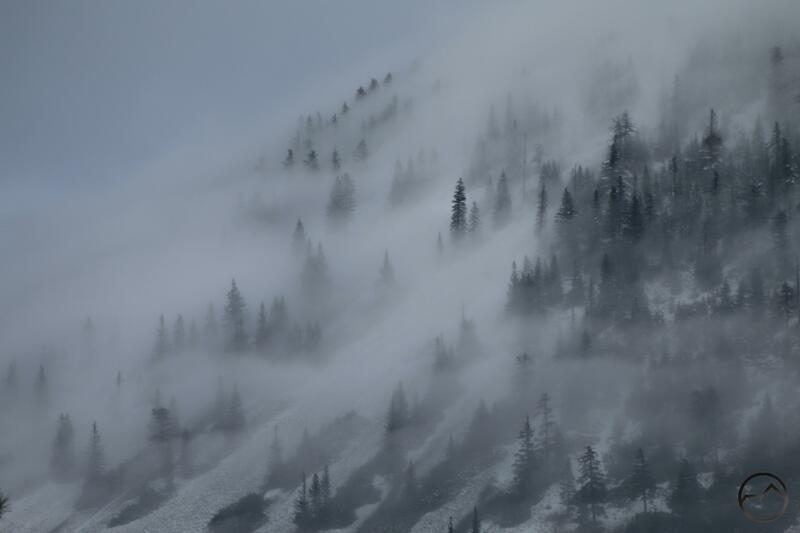 The pale tendrils of cloud made the trees appear like apparitions on the side of the mountain. Hidden in plain sight high up on the steep flanks of Black Butte, these trees don’t often draw the eye of admirers. However, when they are enhanced by the passing clouds, they are an event of slow, subtle beauty that demand observance. 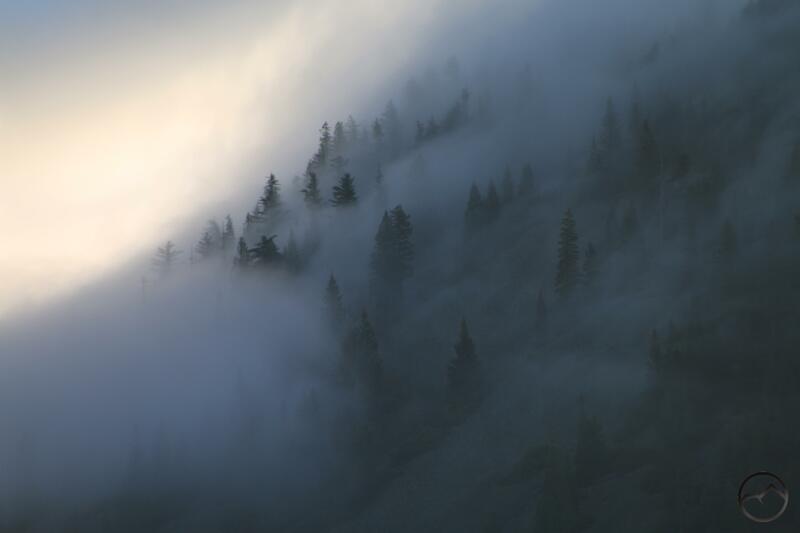 When shrouded by the storm clouds, these trees are given a ghostly appearance, one that is donned more frequently than their counterparts on other mountains. 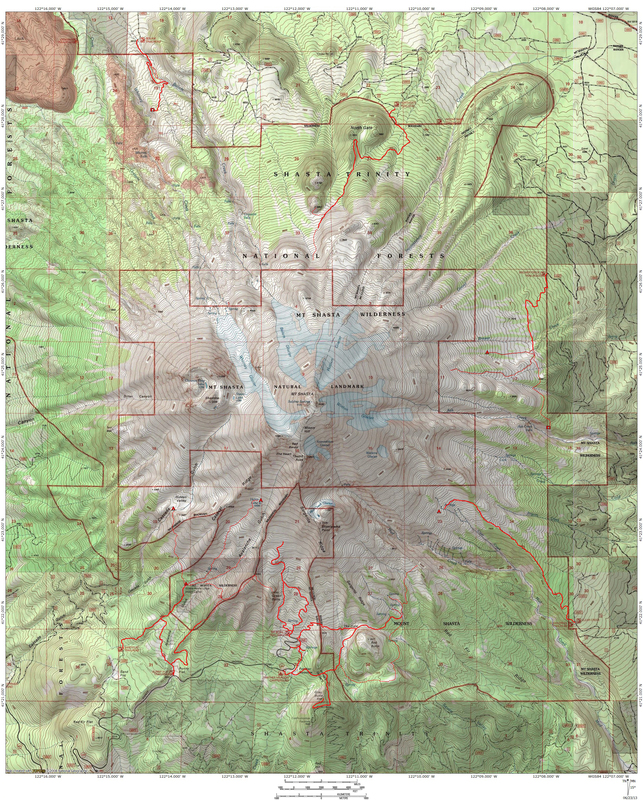 This is due to the unique position of Black Butte, occupying a middle point between two giant mountains. The next time a storm is clearing or the clouds are a whorl around the summit of Black Butte, look above and watch for the Ghost Trees of Black Butte.